Wetsuit guide. How to choose the right wetsuit for kitesurfing in Dubai. Winter is the best time for kitesurfing in many spots. Winters in Dubai are great thanks to the stronger Shamal winds allowing us to take out smaller kites, ride more powered and land the long dreamt of tricks. But it’s cold. No doubt the change of the air and water temperature is quickly noticeable and can affect the quality of the session. For many, the question ‘To kite, or not to kite’ comes to mind when facing the chilling weather conditions. To kite! Of course! There is no excuse to miss those amazing wind conditions in Dubai and for sure the temperature shouldn’t be the reason to keep you onshore. The most important thing to ensure you will feel warm enough to carry on riding is, of course, the wetsuit. We will help you to understand how wetsuits work and how to choose the right wetsuit for the weather conditions you are kiting in. Typically the wetsuits are one piece water wear made of neoprene. Wetsuits come in all different shapes and forms but their role is to be your second skin, protecting you from cold, UV and other hazards that you may be exposed to while enjoying watersports such as kitesurfing, surfing, windsurfing, swimming or other. 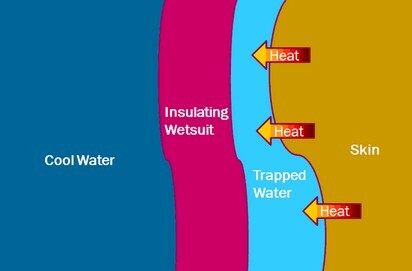 The insulating functions of the wetsuit are achieved by the use of different materials and their thickness. The tiny space between your skin and the wetsuit material fills with water which is heated up by your body. The wetsuit material forms a barrier between this warm water and the cold water outside, so you are not feeling cold. What do the different wetsuit thicknesses mean? You will see different wetsuit descriptions. Some say 2mm some 4/3/2, some 5/4. It can look confusing at the start, but it really isn’t complicated. 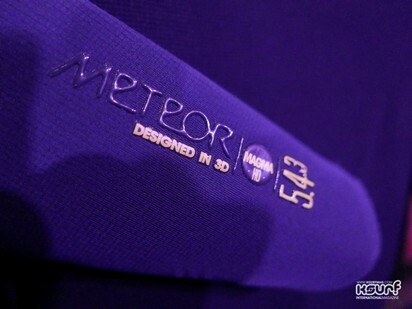 The numbers represent the thickness of the wetsuit in millimetres (mm). Some wetsuits have just one number, for example, 2mm. This means that the whole wetsuit is 2mm in any given place. 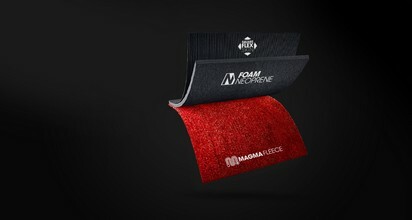 If the wetsuit has two or more numbers, for example, 5/4, this means that it is made of materials of different thicknesses: one is 5mm thick and the other 4mm in this case. Typically the thicker material is used for the torso, to keep the vital organs warm, and the thinner materials are used for limbs to allow easier mobility. What wetsuit thickness to choose? The wetsuit thickness that you need will depend on few factors. Apart from the water temperature, you should take into consideration what sport will you be using the wetsuit for, the air temperature, wind strength and your own personal preference. Some people are more prone to cold than others therefore always keep in mind what your body tells you. Are there specific wetsuits for different activities? Yes. 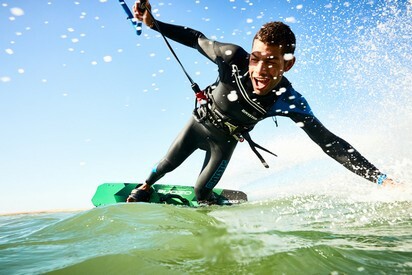 The wetsuit you will use for kitesurfing will be different to the one you use for diving. The wetsuits will differ in thickness as well as flexibility. During the triathlon, you are moving differently than in kitesurfing. When diving different body parts are exposed to cold than in stand-up paddling. And so on. Therefore it is best always to choose the wetsuit specific to the activity you will be performing. How to find the right wetsuit size? The wetsuit should be snug, but not too tight and not too loose. The too small wetsuit will not provide the sufficient insulation. A too big wetsuit will allow the cold water to pour in. 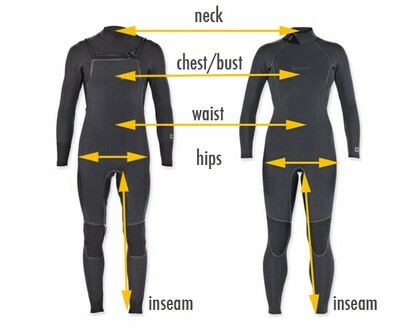 Measure your body and use the size charts specific to the brand of the wetsuit you are interested in. Take into consideration your height as some brands offer T and S sizes: T for Tall and S for Short with combination with the usual S, M, L, XL sizes. How to look after the wetsuit so it has a long life? Is there a difference in ladies’ and men’s wetsuits? Yes, there is. The body shape of men and women is significantly different and different wetsuits are made to fit each one perfectly. Most women have narrower shoulders, broader hips and larger breasts, so it is best to get a wetsuit which is made to fit those features. Which wetsuit is best for Dubai? 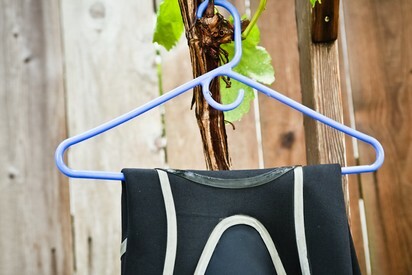 Depending on a place you are using your water wear you may need just one, two or three different wetsuits. For Places where the weather changes dramatically throughout the year, you may need to invest in 5/4mm, 3/2 and 2mm wetsuits. 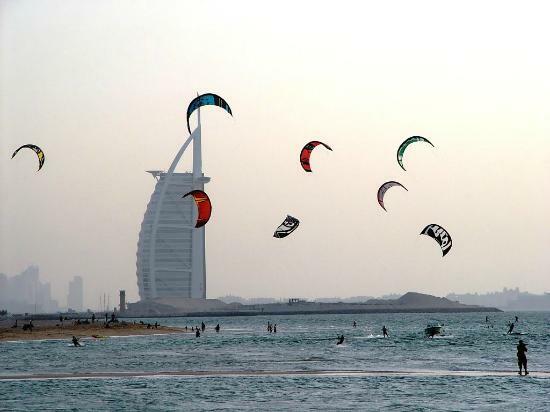 In Dubai, most people choose to kitesurf with board shorts and a long-sleeved rash-guard in the summer and in 3/2mm wetsuit in the winter. How much does a wetsuit cost? There are loads of wetsuits available. 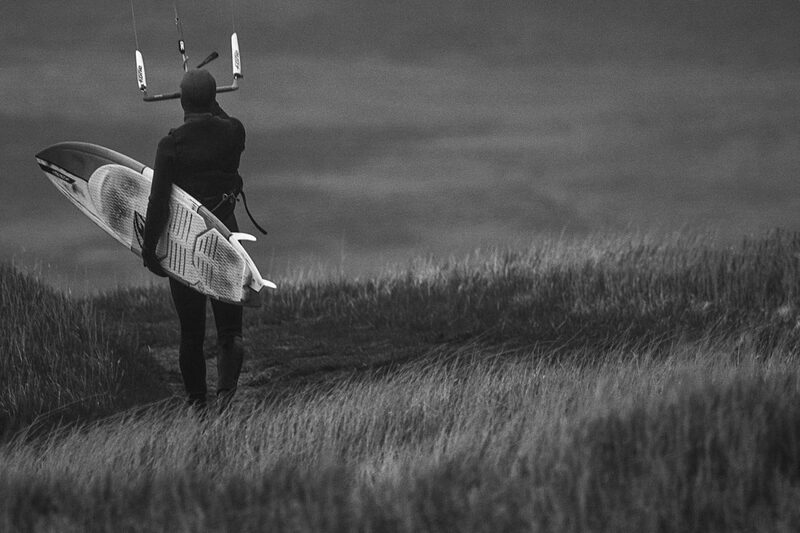 The price of the wetsuit depends on the quality, thickness and the brand. The thicker winter wetsuits tend to be more expensive due to the high technology materials used in their production. The renown surf and kitesurfing brands may seem more expensive at first, but the quality of their materials allows you to use the wetsuit for longer. 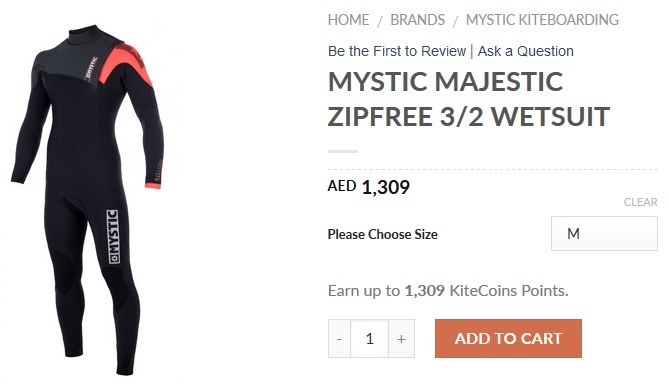 The 3/2 wetsuit will typically cost you between 900 and 1500 AED. This entry was posted in Gear Info and tagged kitesurfing in dubai, wetsuit, wetsuit dubai.